Unit Director Meg Russell has won £3500 in funding as part of UCL Rome Regional Partnership Fund, for a partnership with LUISS University, Rome. The project, 'The Challenges of Second Chambers: Parliamentary Bicameralism in Practice, and Prospects for Reform', includes two workshops to be organised in collaboration with LUISS Centre for Parliamentary Studies, which has close relationships with practitioners from the Italian parliament. Both Italy and the UK have had longstanding debates about the need to reform their second chambers, and in both countries there have been numerous failed attempts to do so over several decades. Most recently, in Italy a failed referendum on Senate reform led to Prime Minister Matteo Renzi's resignation in December 2016 (as discussed in this blogpost). Appropriate options for reform are hence still open. Moreover, there are also important questions about the day-to-day functioning of bicameralism in practice - which have been subject to recent study in the UK, including in Meg Russell's two most recent books (on the House of Lords and the Westminster legislative process respectively), but where study is less developed in Italy. 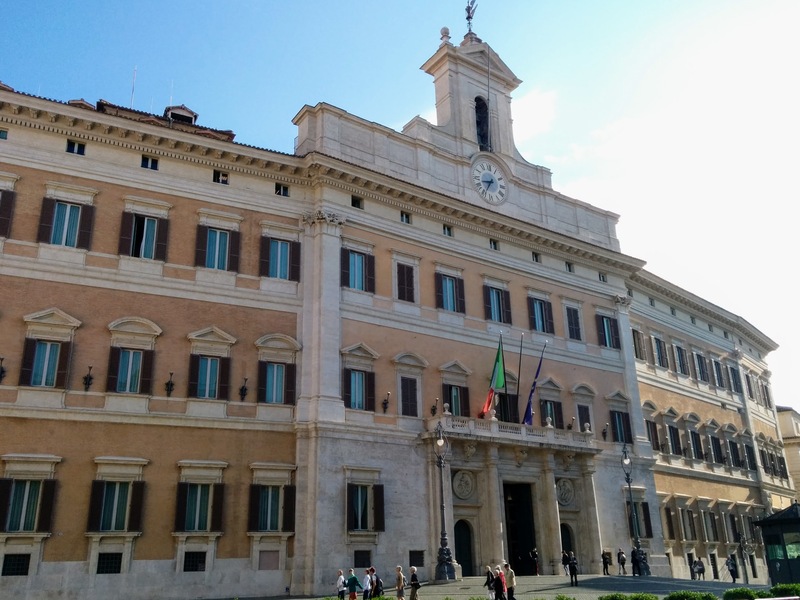 One of the Constitution Unit's PhD students, Roberta Damiani, is undertaking an in-depth study of the Italian legislative process in bicameral perspective in order to start filling that gap. She will attend the Rome workshops alongside Meg Russell. We hope that the events, one of them at LUISS University, and the other in the Italian parliament itself, will take place in June. They will be a great showcase for the Constitution Unit's research, and are intended to contribute usefully to debates among both policymakers and academics on how parliamentary second chambers work, and how they can best be reformed.